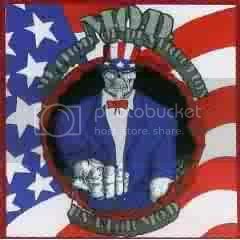 Poor Uncle Sam. Here are two from the late 80's. 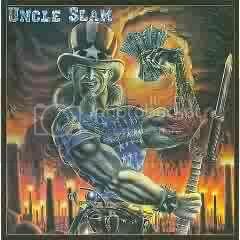 I like the Uncle Slam cover better. Uncle Slam. I haven't heard that tape in at least 20 years but I remember liking it. That's too funny about Milano. That guy is a piece of work. The more I look at these two the worse they look. I'll go with MOD. Genre, sub-genres and labels, oh, my!